The Canary Prostate Active Surveillance Study (PASS) is a multi-center research study for men who have chosen active surveillance to manage their prostate cancer. Active surveillance in PASS means closely monitoring men with prostate cancer and offering treatment if test results show the cancer is getting worse. Prostate cancer is the most common cancer among men. In the U.S. in 2017, there will be approximately 160,000 men diagnosed with prostate cancer, and about 26,500 deaths from prostate cancer. Prostate cancer treatment choices are complicated because the majority of prostate cancers will not be lethal, even if left untreated. Doctors cannot always tell which cancers can remain untreated and which will become more aggressive. As a result, some men may receive treatment unnecessarily and some men may not receive sufficient treatment. This study seeks to discover markers to distinguish aggressive cancers from less aggressive cancers. We aim to develop new tests and better strategies to help men decide if and when their cancers need treatment. Information from PASS may help develop better tests to predict prostate cancer outcomes. 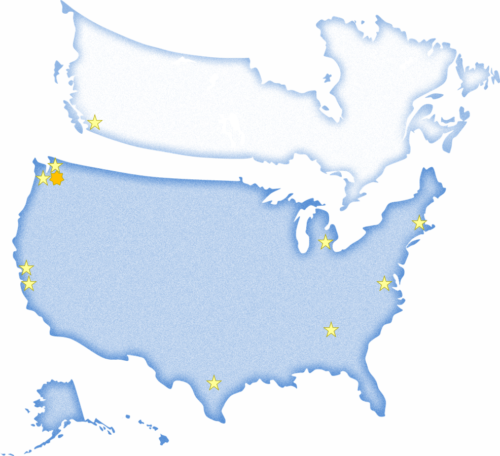 There are 10 clinical sites enrolling patients across the U.S. and Canada in addition to the coordinating center based at the Fred Hutchinson Cancer Research Center, in Seattle. Click here for contact information for clinical sites.